Smart Homes offer fully integrated systems which can really change the ease of which homeowners interact with their homes. Lighting, Audio, Video, Security, Climate and just about anything else from Pools to Gates and Garage Doors can be brought under one elegant umbrella of control for a truly Smart Home. Essentially, if it's electrical, we can control it. What's scarier, the movie or getting it to play? It's movie night! Almost... Just as soon as you figure out which devices to turn on, using the right remote controls and pressing the correct buttons in the proper sequence. Getting all that right can be scarier than the movie! So often, we see homes where thousands of dollars in AV equipment sits idle because no one remembers how to use it. 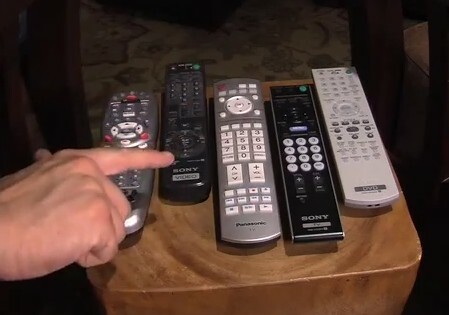 Eliminate this nightmare and control all these devices from one smart and easy to use remote control. Next time it's movie night, simply grab the remote control and select the Blu-ray player, then sit back and relax as everything else happens automagically. The TV turns on and switches to the correct input, the Surround Sound receiver powers up and changes to the right surround sound mode. When you press play on the remote control, that command is sent to the Blu-ray player. When you press volume up, that command is sent to the Surround Sound receiver. 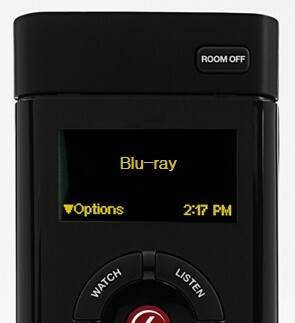 All of this is done behind the scenes and using one remote control for the simplest movie watching experience you could image. Today's home buyers expect high-tech amenities like whole home audio, distributed video, lighting control and surround sound equipped media rooms to be standard in new construction or remodeling projects. They want technology, but don't want to see it. We offer fully integrated, out of sight solutions which make these complex systems easy to use. Want to see some Smart Homes in action? 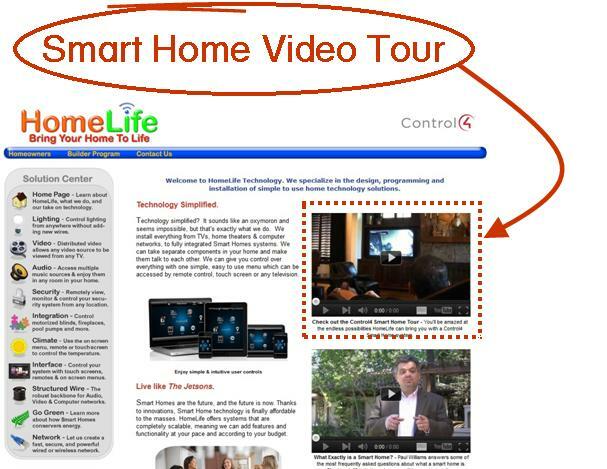 Simply go to www.HomeLifeTechnology.com or click on the image below and check out the Smart Home tour featuring 6 Smart Homes. 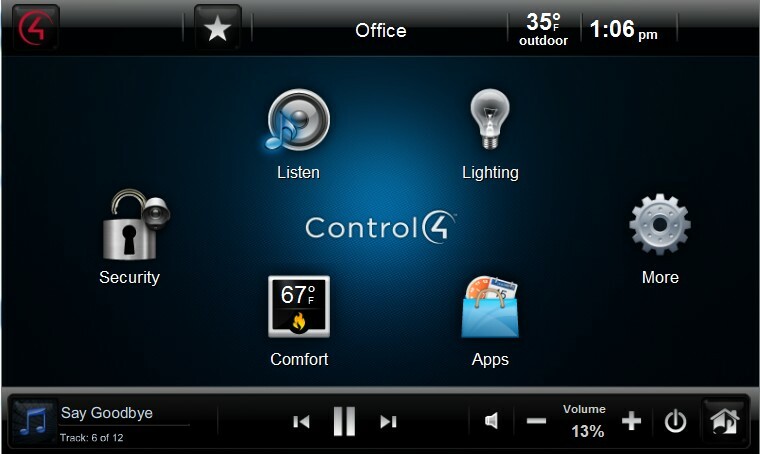 HomeLife offers Smart Home technology from Control4 and other leading manufacturers to Pittsburgh and the surrounding areas.